Home 2017 November 21 Messi or Ronaldo? One of the biggest arguments that any sports person talks about is who’s better, Cristiano or Messi. For the past decade, fans all around the world, always compare these two players by stats or by the way they play. The past years, these stars have won the balon de oro back to back. One has the quick feet and unbelievable knuckleballs, (Ronaldo) while the other one has this incredible mind, he reads his opponent’s body movement and already is one step ahead. (Messi). The funny thing is that these two players don’t like to compare each other, they respect each other professionally and they just focus on themselves. In the press conference, both of these goal scoring machines admits that the other player is just one of a kind and enjoys watching them playing, then there’s no hate between each other. While people are arguing on who’s better, there’s a low percentage of people that appreciate these two players. Age is just a number, but there’s going to be a time when these players will retire from the pitch. 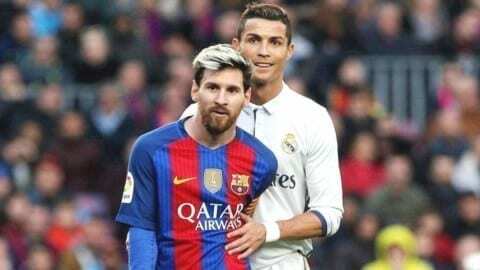 Messi and Ronaldo have broken records after records, the hat tricks they scored, and the trophies they’ve won will all go away at one point. Watching these two players play, is just a blessing and a gift from this sport. This is when we should start to realize that we got to the appreciate these players because these players don’t come along in every generation, these guys are so special. Messi or Ronaldo? by Jason is licensed under a Creative Commons Attribution-ShareAlike 4.0 International License. Has technology helped or harmed the development of the world?Is Batman a good guy?